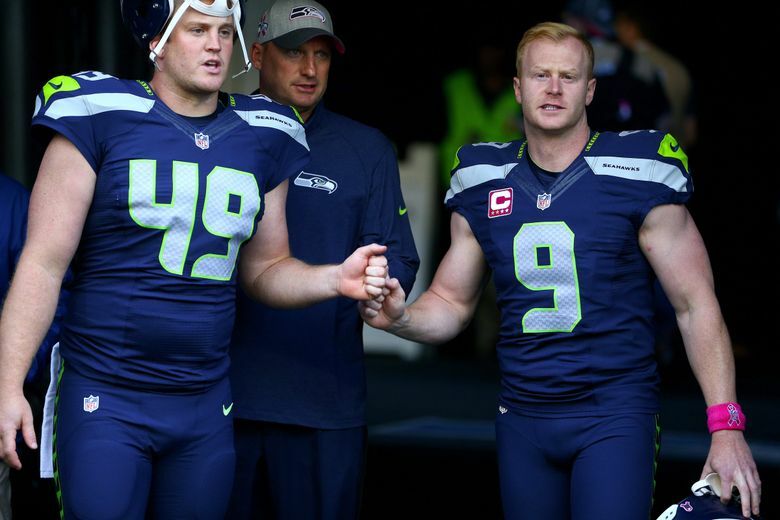 The Seahawks on Wednesday waived long-time long snapper Clint Gresham, who had taken part in every game of the Pete Carroll era. The Seahawks officially made two transactions Wednesday, one of which was a bit of a surprise, waiving long-time long snapper Clint Gresham. The Seahawks also announced that linebacker Eric Pinkins had signed his tender as an Exclusive Rights Free Agent, an expected — and basically procedural — move that officially keeps him in the fold for 2016. Gresham, who had been with the Seahawks since 2010, has taken part in every game of the Pete Carroll era. The 29-year-old Gresham had signed a three-year deal worth $2.7 million on March, 20, 2015 as an unrestricted free agent. His contract called for an $860,000 salary cap hit in 2016 and $1 million in 2017, with dead cap numbers of $200,000 and $100,000 (meaning, the Seahawks are saving $660,000 and $900,000 against the cap). Seattle recently signed free agent long snapper Andrew East to a one-year deal worth $450,000, so the Seahawks can save a bit of money with the release of Gresham. East, a graduate of Vanderbilt, was with the Chiefs in training camp last year before being released. He may be best-known for an on-field proposal to Olympic gold medalist gymnast Shawn Johnson last July. Newly-signed OL Bradley Sowell also served as Arizona’s emergency long snapper a year ago (and as evidenced by this Instagram post, continues to practice snapping). The Seahawks have had the same kicking battery of snapper Greshman, holder/punter Jon Ryan and kicker Steven Hauschka since 2011 and appeared destined to keep that together for another year when Ryan last week signed a four-year contract to stay with the team. Only Ryan has been with the Seahawks since before the Carroll era began. Gresham was one of three players left on the roster who joined the team in 2010, the others being safeties Kam Chancellor and Earl Thomas (OLs Russell Okung and Lemuel Jeanpierre, each free agents, also joined the team in 2010). Pinkins, a 2014 sixth-round pick as a defensive back, was moved to strongside linebacker last year, a spot that is suddenly open with the departure of Bruce Irvin via free agency, and is sure to be part of what could be a pretty fierce competition for time at that spot.